Australia has long been known as a nation of home owners. Ben Spies-Butcher explores the changes and implications that have been slowly taking place. Home ownership has been widespread, including amongst ordinary workers. But sky rocketing house prices puts that at risk, while declining public housing stock is leaving millions stuck in an insecure and expensive private rental market. This bleak picture is sadly becoming more familiar to many. What might be more surprising is that home ownership, at least overall, remains a relatively egalitarian institution. Housing wealth is much more equally distributed than most other forms of wealth (including superannuation). 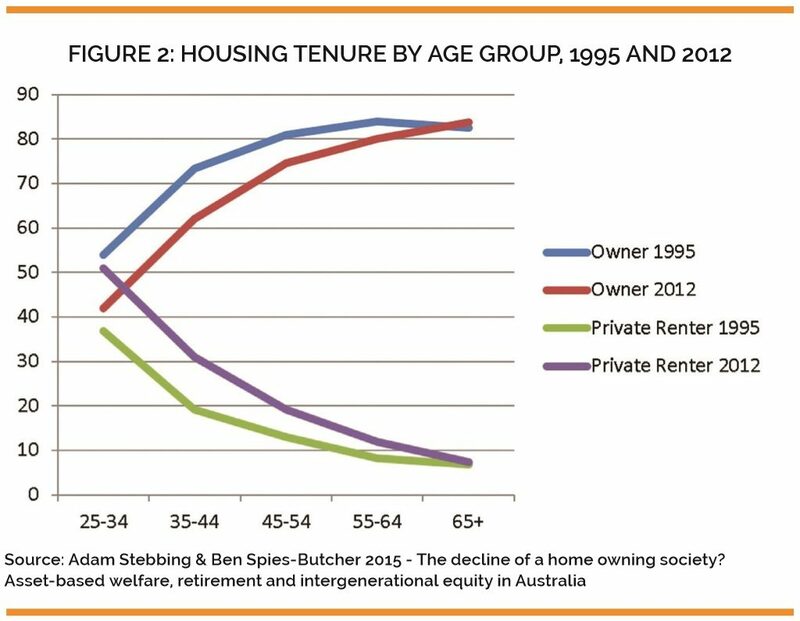 Indeed, the group most likely to own their own home outright are not the rich, but aged pensioners. Despite decades of rising prices, the distribution of housing continues to reflect policies from earlier times. Like other assets, housing wealth tends to be gradually accumulated over a person’s (or family’s) working life. And unlike many other assets, we tend not to ‘spend’ it in retirement. The idea is to buy a house while at work and then maintain it in retirement. It takes most people decades to accomplish this task. From saving a deposit to paying off the last of the mortgage is often a lifetime’s work. The discipline required to do this – and the threat of foreclosure if mortgage payments were missed – is often cited as a reason why home ownership might encourage conservatism. Workers with mortgages are less likely to strike. It has another implication too – it delays the effect of changing patterns of inequality. Many of us are now aware of the challenges facing young people breaking into the housing market. This is sometimes presented as a generational challenge – older generations had it good, younger generations will now suffer. But the evidence is a little more complicated. A better description is that older generations had it more equal, younger generations are having it increasingly unequal. Australia is clearly getting richer. The combination of the mining boom and avoiding the most serious consequences of the Global Recession / Global Financial Crisis, have seen Australia’s average income steadily moving up the global ladder. But that growing wealth has not been shared equally. Our incomes at work have become less equal as union influence has declined, wages became decentralised and casual and precarious work more ubiquitous. Labour incomes as a whole have also declined relative to profits. This inequality is reinforced by changes in tax and social policy. Governments have encouraged people to save for their own needs (whether through super, an investment property or private health insurance), while deregulating the markets people invest in, and then provided very generous tax breaks on investment. Those with higher incomes can afford to invest more and so reap the biggest benefits. That combination has pumped billions of dollars into investments. In housing the generous tax treatment of investment property via negative gearing and a discount on capital gains has driven up property prices. 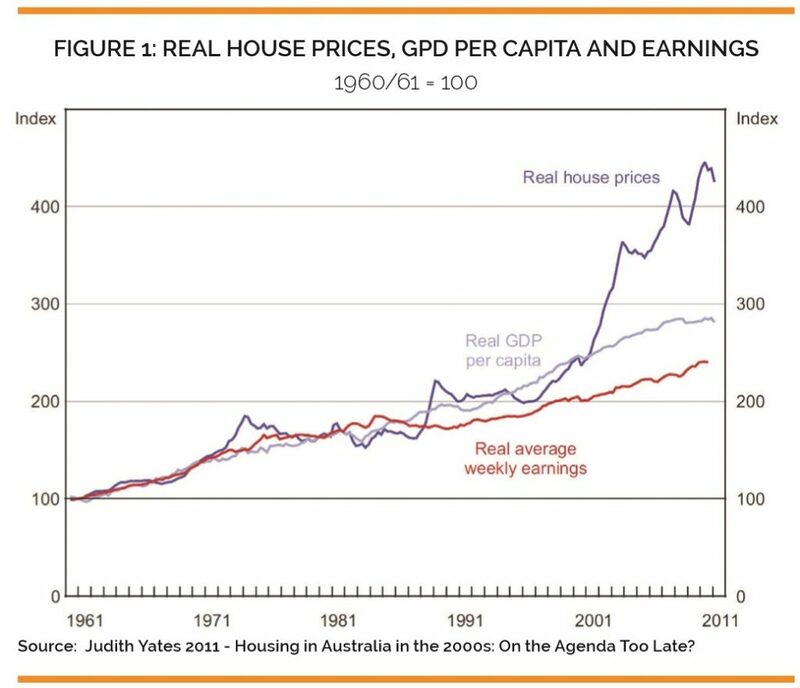 Figure 1 shows how house prices have moved relative to wages and average incomes. After tracked together through most of the 1960s and 1970s they then started to diverge. First wages fell behind – as governments and unions agreed to suppress wages. Second, house prices surged ahead of average incomes. That happened around 1999, the year the capital gains tax concession was introduced. As wages have become less equal and house prices have risen, so the egalitarian model of home ownership has started to break. Those first to feel the impact have been the relatively poor and relatively young. Even in 2001 24% of those aged 15-24 had entered home ownership. By 2011-12 that proportion had halved. But it is amongst older groups that we might be more concerned. Figure 2 shows changes in home ownership (mortgage or outright) and private renting for those over 25. The decline is not confined to the very young. In some recent research, Adam Stebbing and I examined whether these declines could be attributed to other causes – such as people staying in education longer and having children later; or changing investment patterns that were less centred on housing. The evidence, however, is more consistent with these changes being driven by growing inequality. That means home ownership is likely to continue to fall as younger generations with lower home ownership rates replace older generations who bought into the market when policies were different and inequality less severe. That does not mean younger generations will be less wealthy. Some younger people will not only own their own home, they will join the ranks of investors with sizable portfolios of real estate. But many others will be locked out of ownership for much – or all – of their lives. It is also likely to mean less security for many. 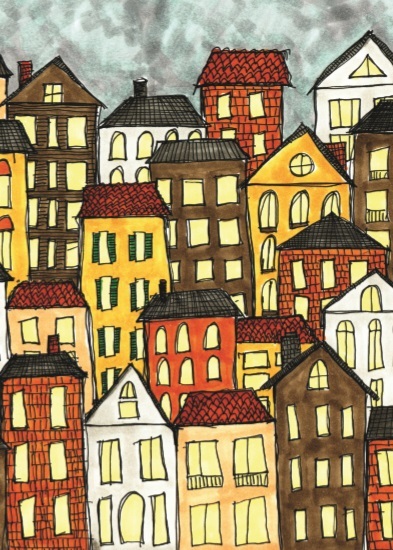 The old model of home ownership was designed to be far less adventurous. Once bought, people simply maintained their home in retirement, using it to lower housing costs by avoiding paying rent or a mortgage, and perhaps eventually downsizing and using the difference to fund a slightly more comfortable lifestyle. New policy settings encourage us to buy more housing – even before we have paid off our first mortgage. Those investments are rewarded with tax concessions, but also expose us to more debt and risk, particularly if housing prices fall – as they did dramatically in the US during the subprime crisis. Governments have also identified housing assets as a potential stream of resources to pay for the growing needs of an ageing population. Proposals to use reverse mortgages, or to force older people to sell their home to pay for aged care are designed around this principle. This opens up other risks that force older people to make complex financial decisions before accessing basic services. It might sound reasonable to tap into the vast wealth of Australian housing. But doing so on a ‘user pays’ principle is deeply inequitable. This is especially the case when Australia has a gapping hole in its tax base – with no tax on inheritance. Without an inheritance tax the emerging system of user payments will exaggerate intergenerational inequality, meaning many middle income households run down their resources, leaving little to pass on, while others can fund their retirement out of the interest they receive on large holdings and pass all of this onto their descendants. So at both ends of the life course we have new drivers of inequality. For the young it is getting onto the ladder of property accumulation. For the old it is running down their assets to finance their own care, or being able to by-pass the tax man as they hand their wealth on. That generational process is joining up, as it becomes more and more common for parents to help their children get into the property game – something that only some parents can afford to do. Inequality will have severe impacts when younger workers retire. Australia’s age pension is one of the lowest and cheapest in the developed world. It only works because so many older people own their home. In the private rental market our pension is sadly inadequate. This is already a reality for some older people, especially women, who either were unable to own a house, or lost a home through divorce, bankruptcy or other misadventure. But their numbers are set to grow. Having built a relatively equitable model of home ownership, now, ironically, incentives to buy property – like negative gearing – and to save for retirement – like super – are creating a new cycle of inequality. More disturbing, because this inequality relates to wealth, it emerges slowly. Inequality is thus set to grow. Dr Ben Spies-Butcher is a Senior Lecturer in Economy and Society in the Department of Sociology at Macquarie University.